Wherever possible, these policies and rules are implemented on a national basis and consistently applied - however, there are some occasions where State Controlling Bodies may have slight variations to the national approach. This is usually due to local legislative requirements. Standardbred welfare is not just a new phenomenon or thought bubble, it has underpinned the development of many of the industry’s policies and rules since harness racing commenced - regulating issues such as reproductive techniques, identification, registration, racing ages, treatment of horses, drugs, prohibited substances, stabling conditions, gear and equipment, the use of whips, persons licensed to participate in racing, disease control, hot weather racing and life after racing. A key foundation of these rules and policies are the powers afforded Stewards and integrity staff in undertaking and discharging their duties. Investigative, covert, random inspection and directive powers complement their ability to take action against anyone found to have breached rules via a robust integrity and disciplinary structure. Penalties can include monetary fines, licence suspensions or even disqualification - and are in addition to any common law breaches which can be dealt with through the judicial system. Harness Racing Australia’s commitment to equine health and welfare is also manifest as a signatory to the Australian Government’s Emergency Animal Disease Response Agreement Emergency Animal Disease Response Agreement (EADRA) and supports the AusVet Plan. HRA is also a substantial supporter of equine research having partnered recent studies into Heavy Metal Testing, Quarantine Regulations, Therapeutic Substance Efficacy, Stallion Fertility and Early Abortion Factors. (b) have in his possession any harness, gear, equipment, device, substance or any other thing capable of inflicting suffering on a horse. A person other than a registered veterinarian, shall not use or have in his possession or control any electric or electronic apparatus or device capable of administering an electric shock to a horse. A person having responsibility for the welfare of a horse shall not fail to care for it properly. A person shall not do or fail to do anything which results in the inconsistent running of a horse. 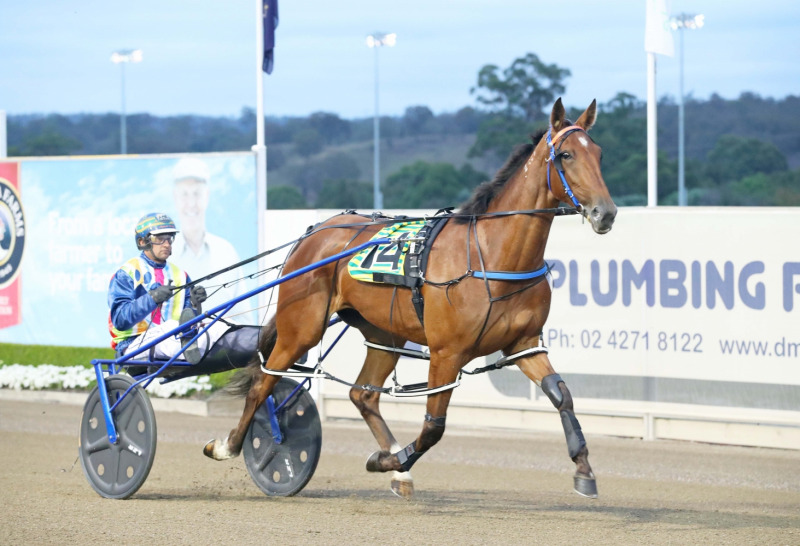 A person shall not fail to comply with any order, direction or requirement of the Controlling Body or the Stewards relating to harness racing or to the harness racing industry. A person shall not do anything which can only be done at the order, direction or requirement of the Controlling Body or the Stewards in the absence of or contrary to, such order, direction or requirement. A person whose conduct or negligence has led or could lead to a breach of the rules is guilty of an offence. (1) After the running of any race and for a period of 7 days thereafter if the owner, trainer, driver, stablehand or any person in charge of a horse is aware of or has knowledge of anything which may have affected the horse’s performance in that race, he or she shall report it immediately to the stewards. Catastrophic injuries or accidents occasionally occur which necessitate the euthanasia of a horse on the racecourse during racing or training. A horse should not have to endure chronic pain and suffering, or be subjected to continuous analgesia, or a life of individual confinement when the prospects for recovery and a future good quality of life are limited. Decisions to euthanise are often complex and highly distressing requiring the balancing of economic, health, safety and welfare factors with the likelihood of recovery and future quality of life. Unless the nature of the injury and/or condition of the horse reasonably necessitates more urgent and immediate action, injured horses should be humanely and expeditiously transported from the race track to a secluded area for thorough clinical assessment. The racing authority should ensure that there are clear lines of responsibility allowing the Veterinarian appointed by the Club or Control Body present at the incident to make any necessary decision for immediate euthanasia. Whenever practicable, clinical assessment and planning of future actions should occur in collaboration with the owner and the attending veterinarian(s) observing appropriate confidentialities and ensuring recordkeeping. Euthanasia should be carried out using appropriate chemical methods and administered by trained and competent personnel. Euthanasia should be shielded from the view of the public and performed in an area of seclusion as is reasonably possible or using temporarily erected screening. Euthanasia should produce immediate relief from pain and suffering, and performed in such a manner to eliminate and/or minimise any indignities possibly arising from the process itself and/or the removal of the euthanised horse to other locations. To effect these general principles into policies and procedures, all racing authorities should ensure an adequate complement of trained, rehearsed and licensed or approved personnel are available at all times when horses are present on raceday. There should be clear lines of command and control for any incident and procedures in place for any communication with the public or media. (af) to direct a driver to drive in a designated number of trials and to their satisfaction prior to driving in a race other than an official trial.